A golf course is a living, breathing thing. Creating a quality golf course does not end the day the construction crew leaves. Instead, it is a lifelong process – to which the greatest attention needs to be given. “I owe a great debt to golf course superintendents. We (architects) can only provide great facilities with these well-trained professionals to maintain them.” — Robert Trent Jones, Sr. The creation of a golf course can turn even an otherwise insignificant tract of land into a highly valuable property. The golf course architect’s artistic skill and the builder’s expertise can transform a desert, idle farmland — even an old landfill, into an attractive asset that beckons golfers. However, a golf course is a special kind of asset – one that requires attentive management. So, while an architect and builder lay the groundwork for a truly spectacular golf course, without skilled management, a course will never achieve its full potential. Worse, without competent management, a course will progressively deteriorate. Hiring a golf course superintendent to your professional team early in the development process can help make visions of a truly spectacular golf course a reality — and could potentially save the owner money in the long run. 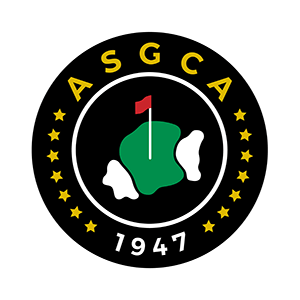 From the planning stage to day-to-day operations and long-term management, a Golf Course Superintendents Association of America (GCSAA) member will help protect the golf course. During the planning and construction phases, GCSAA members are essential in providing significant information and ideas to the architect and builder that can prevent costly maintenance problems. Assistance in the areas of turf selection best suited for the climate of the region and type of play desired by the owner is an example of help that can be provided by the superintendent. Another is in the very important area of water use and effective methods for making reductions in irrigated area without sacrificing play quality. Here, the superintendent can work with the irrigation designer and architect to review system design, pump station specifications and control of watering applications. GCSAA offers a number of resources to assist with the search for a professional golf course superintendent and is the best place to start when selecting your superintendent.